A number of probabilistic methods such as LDA, hidden Markov models, Markov random fields have arisen in recent years for probabilistic analysis of text data. This chapter provides an overview of a variety of probabilistic models for text mining. 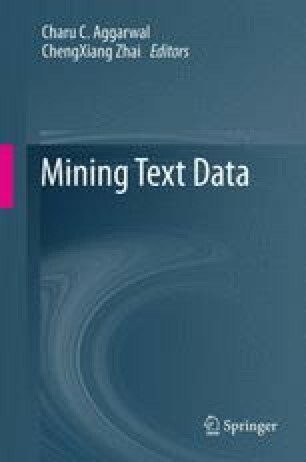 The chapter focuses more on the fundamental probabilistic techniques, and also covers their various applications to different text mining problems. Some examples of such applications include topic modeling, language modeling, document classification, document clustering, and information extraction.